Conversion of the popular arcade scrolly beat 'em up. A Naxat conversion of Technos' brilliant and popular Double Dragon II. Not quite up to par with Naxat's ports of Technos' other games, but then again it's not a straight up port. 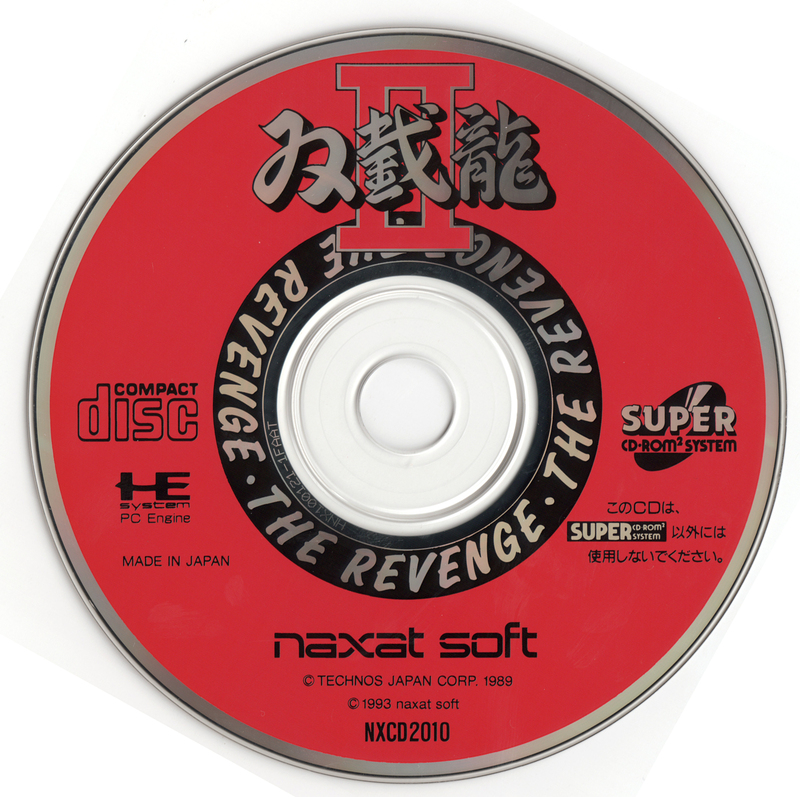 Naxat has re-done some things specific to this version. There's an anime intro with some hefty story that was told very simply in the NES version as text, and it's fairly well done, although it's nothing superb. Nice redbook audio and familiar tracks abound, with heavy-hitting sound effects a far cry from the NES and Arcade versions. The graphics are completely original, although they don't look the best. The backgrounds look good, taking set pieces from both the NES and Arcade versions, but the sprites look...well...funky and animate strangely. 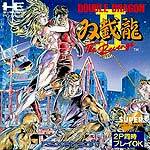 Gameplay is identical to the NES version, with some retouched hit detection and timing, amounting to what is the easiest version to pull off moves but sometimes the most frustrating in terms of who-hit-what nit picking. The baddies are a lot smarter and tougher over the NES version as well, although not nearly as cheap as the Arcade version. 4/5 stars, and well worth the 2-player co-op play, as baddies can grab hold of you from behind while another pummels you to doom in this version. Level Select: On the title screen, push I, II, I, II, RUN. Visual Scene Select: On the title screenhold down I, II and SELECT. When the screen starts to fade out to go into the opening, push RUN. Skip Level: Pause the game and hold I, II and SELECT, then push RUN to jump to the next level. Sprite Test: On the title screen, push II, I, II, I, RUN.